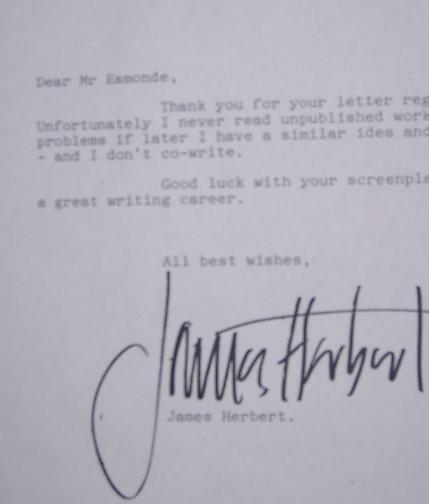 James Herbert one of Britains bestselling horror/thriller novelists, who’s books include Haunted, The Rats, The Ghosts of Sleath wrote to me wishing me luck with my writing career prior to Blood Hunger and Dead Pulse. After a spanning longtime communicado, I met him and his family over a drink – it was the horror icing on the cake for me. Meeting your hero is always neat especially when they are down to earth and exceed your expectations. 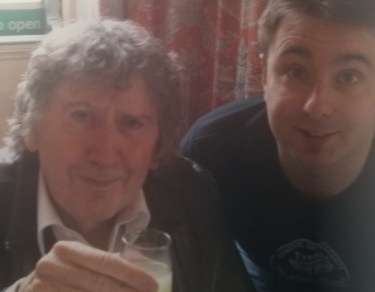 Sadly James Herbert passed away March 20th 2013. My thoughts are with his lovely family. A straight up guy and true gentleman. I enjoyed his company, his great eye for marketing and his horror writings. He will be terribly missed.